A tour of SoCal natural products stores shows how three exemplary stores have become staples in their communities. 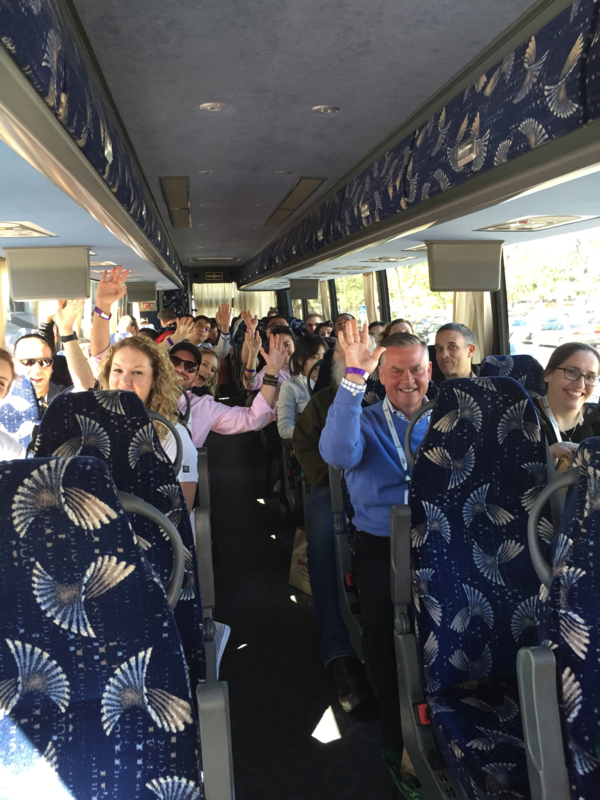 The 145 attendees at the 37th annual Natural Products Expo West in Anaheim rose early on Thursday, March 9, to board three coach buses for a tour of natural product retailers around southeast Los Angeles. The tour attendees, who were mostly retailers and manufacturers, took this field trip opportunity to immerse themselves in the natural retail landscape, among other reasons. The bus made three hour-long stops at three distinct retailers, each offering their own points of distinction that have helped make them key establishments in their communities over the years. The first stop: Clark’s Nutrition in Chino, California. This fourth-generation, family-owned store rolled out the red carpet for tour guests, including fresh, organic snacks, smoothies, free massages and even a welcome greeting from current CEO, Ray Clark. The first Clark’s Nutrition store opened in 1972 in downtown Riverside featured a sit-down style restaurant, offering a famous cream cheese and olive sandwiches on ¾-inch-thick homemade bread. As the demand for supplements and natural foods grew in that area, the store closed the restaurant to make room. Today, Clark’s has four Southern California locations. Tour guests felt an immediate sense of comfort in the store, and 10 store employees were available to answer questions and provide personalized tours. It soon became apparent that Clark’s point of distinction in the market is the depth of knowledge among staff members, including many who have worked at Clark’s for more than 30 years. Since the late 1970s, Clark’s Nutrition has embraced its roll as a retail-educator. Realizing that people had limited knowledge of nutrition, Clark’s made its aim to help educate customers. Over time, Clark’s developed a five-level nutrition training program for employees that takes three and a half years to complete. 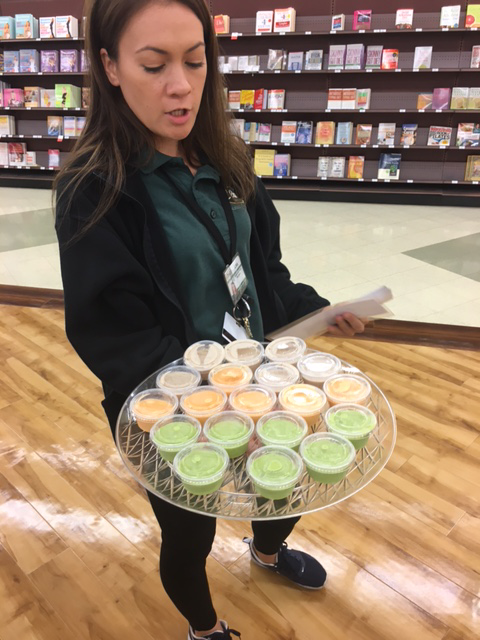 The store also offers lectures about nutrition to the public, because it’s the staff's belief that sales come through consumer education. The second stop: Sprouts Farmers Market in Huntington Beach, California. The first Sprouts natural and organic grocery store opened in Chandler, Arizona, in 2002, and today Sprouts operates 250 stores across 15 states. Sprouts is known for offering fresh and natural, organic groceries at incredible prices and an approachable setting that feels like an old-fashioned farmers’ market (90 percent of the products in Sprouts are natural or organic). Retail tour guests noted the ability to stand at one end of the store and see all the way to the back, due to the low-profile aisles and market-style produce and products in low bins and barrels, as well as an expanded bulk bin section. A point of distinction for Sprouts is its commitment to responsible retailing across sourcing, operations, community and buildings. During the tour, one of the Huntington Beach store managers told tour guests that the store's responsible retailing program was able to divert more than 12 million pounds of food from landfills by providing it to local farms as animal feed or to composting facilities, and Sprouts also recycled more than 70 million pounds of cardboard in 2016. The third stop: Mother’s Market & Kitchen in Santa Ana, California. Founded in 1978 by friends and family who practiced yoga together, Mother’s Market has grown to seven store locations in southern California and serves approximately 50,000 people a week. The store that retail tour guests visited, located in Santa Ana, opened in 2008 and is Mother’s largest store. Other than some beef in its pet food products, Mother’s Market does not carry any beef or pork—or products that contain beef or pork—in stores, a point of distinction in the marketplace. Local residents flock to the store for hearty and diverse section of vegan and vegetarian grab-and-go meals, and a robust salad bar that also offers some dishes with all-natural chicken, turkey and plant-based meat alternatives. The produce section in this store features the largest selection of organic fruits and vegetables in Orange County, as well as the county’s largest selection of natural supplements, many of which are organic, non-GMO, vegan, vegetarian and gluten-free. Mother’s provided delicious and healthy bagged lunches that tour guests were able to enjoy on their return ride to the Expo West convention center in Anaheim.